Are you looking for someone who can fabricate a metal frame for you? You are at the right place! Read how easy it is to order a custom cut metal frame online. What is a metal frame? 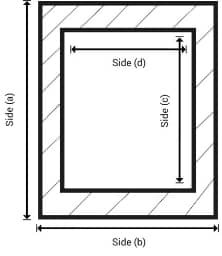 A metal frame is a 2-dimensional regular shaped piece of metal generally square or rectangular, with an inner centered cut out . It is usually used to frame an area of special interest or to surround something. Well, a custom metal frame fabrication is an easy process with MetalsCut4U. The only thing you need to do is to specify metal and your measurements, and the rest is our job. Once, you placed your order our expert team will start working on it and will handle it until it is ready to be shipped to you. How to configure your custom fabricated metal frame online? you already have fulfilled 3 out of the 4 easy steps to configure your sheet metal frame. In the 4 step you choose the frame to be configured. 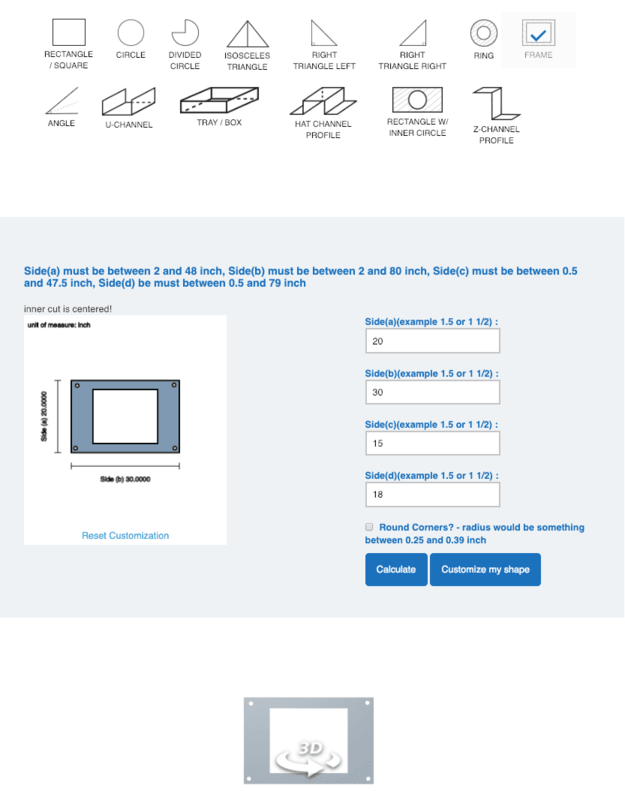 The sheet metal calculator will give you a price for your custom cut metal frame including the options you have chosen. Why get a custom cut frame from MetalsCut4U? Whether it be a steel frame fabrication or aluminum frame fabrication, we will be able to help you. You can get all the shapes with customized measurements whether as a square or a rectangle shaped frame, we will laser cut your customized frame which we give a guarantee to work within a very high accuracy.